This didnät quie turn out as I envisioned it, but nontheless I still like the idea of putting glossy on the snow globe and will have to make a new attempt soon! I'm entering my card into theses challenges: Winter Wonderland (Embossing) and Catch the Bug (ATG). Upea! Minunkin on pitänyt kokeilla vastaavaa ideaa. 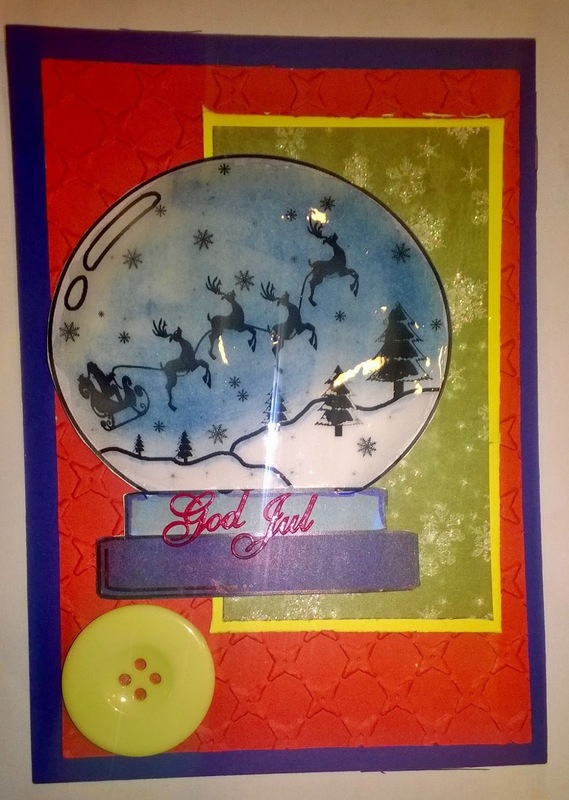 Great Christmas card and so glad you shared over at Catch the bug. Ohhhhh you did a fabulous job with this snowglobe! Thanks for sharing your fantastic creation with us at Catch the Bug Challenges this week! Oh look at this gorguess card you made! thanks for sharing your talent over at catch the bug.